Many locations, from parks to city centres, may have needs for people counters outdoors - and thanks to Irisys' range of rugged outdoor people counters this can be achieved just as easily as indoor locations. How does People Counting benefit city centres? 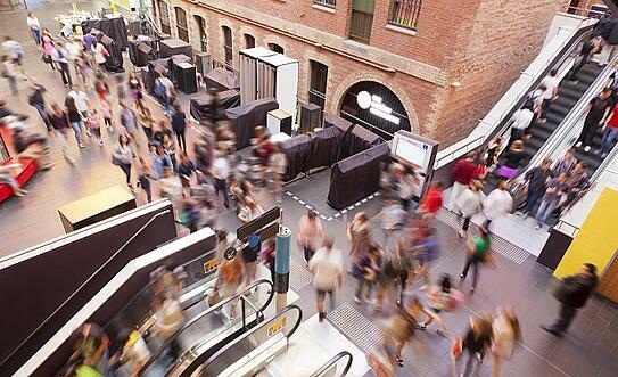 Towns and cities all over the world have to compete with their neighbours to attract shoppers and investment, so having an accurate measure of footfall is one of the only ways you can measure how well you are doing. Without data on the response to your campaigns, measuring your return on investment and the success of your campaigns is very difficult. With Irisys People counters you can measure the footfall across your entire city centre, splitting it into different zones for comparison, and using the data to improve your promotions campaigns and marketing activity. Having an objective measure of the popularity of your city centre, is a strong piece of evidence to take to potential investors or businesses interested in relocating to your area - something that people counting technology can deliver consistently and accurately. Understanding how people are moving through your city and how they make use of the space gives you an opportunity to look at the way you manage that space, and make improvements. Public transport, community facilities and route planning are all areas where a thorough understanding of how people are currently using your city centre can inform your decisions, helping you create a better environment for shoppers and other visitors.